The Blues have a chance to quickly erase the memory of Tuesday, with April fixtures now coming thick and fast. 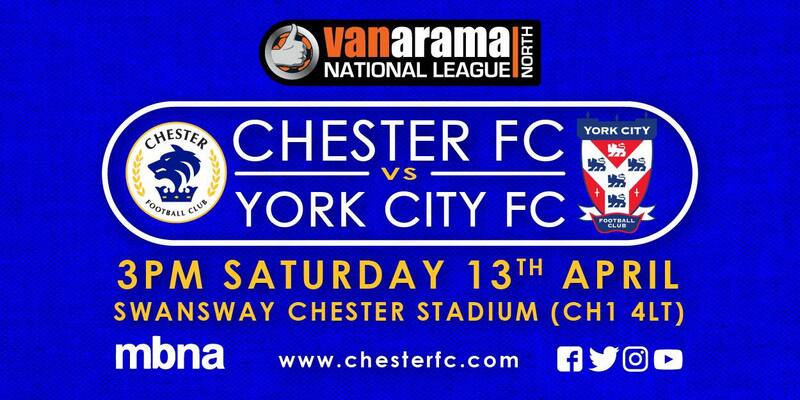 Mid-table York City are next to the Swansway Chester Stadium, as Chester look to move on from Tuesday’s disastrous 6-0 home defeat to the new National League North leaders, Stockport County. It was a bitter pill to swallow after a promising four match unbeaten run prior to midweek. With AFC Telford only mustering a point at home to Altrincham at New Bucks Head – it was an opportunity missed to cut the gap to the top seven. Bern and Jonno’s side are still only four points off the play-offs with four games to play. A victory is paramount tomorrow afternoon if the dreams of promotion can continue – regardless of this though it has been a season of the club moving back in the right direction after relegation last term. Steve Watson’s York are five points behind the Blues in 12th place. Watson has lost only four of his 13 matches in charge since departing Gateshead to join the Minstermen. The two teams battled to a goalless draw at Bootham Crescent back in November. 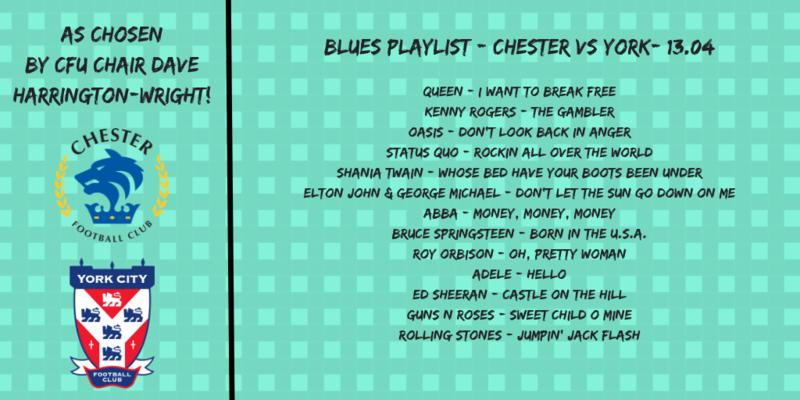 Tomorrow is Chester FC’s annual MBNA Day. MBNA have been our principal sponsors since the club reformed back in 2010, are Chester based and fantastic supporters of the football club. To mark the day, 200 tickets were given to MBNA for employees and their family and friends to come and watch tomorrow’s game against York City. We will also have plenty of fun activities – including streetwise soccer – outside the ground before the game. There will also be a display inside the Community Trust gazebo of the proposed KGV Sports Hub project – Community Trust CEO Jim Green will be on hand to answer any questions! Kick off at the Swansway Chester Stadium tomorrow is 3pm. For Sat Nav users, our postcode is CH1 4LT. Students, unemployed and Armed Forces concessions tickets should be purchases from the Ticket Office prior to the game. Tickets can be purchased pay on the gate.